Splendid Promtion pack- 50,000 High Retention play/s, 600 Guaranteed likes or Followers, 100 Reposts and 20 human comments​. 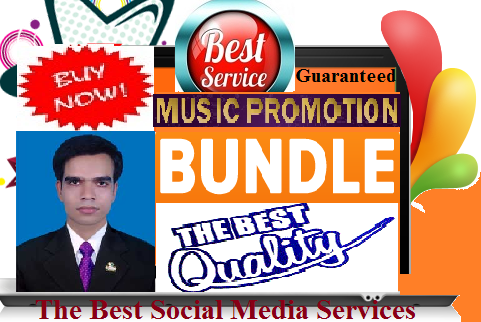 Since this is launching service, so we are giving such cheap but high quality services. *****No drop any FOLLOWERS within a few days!!! *****100% permanent or 100% money back guarantee. *****So one can buy our services with confidence. *****Put your Valid Link of your music kindly. Splendid Pack- 50,000 Play/s, 600 likes, 100 Repost and 20 comments is ranked 5 out of 5. Based on 106 user reviews.